Neil Young at the premiere screening of the movie “The Monsanto Years” on Wednesday, April 22 and the IFC Center in New York. “It’s a move about making a record.” N.Y. Not rated, 59 minutes. 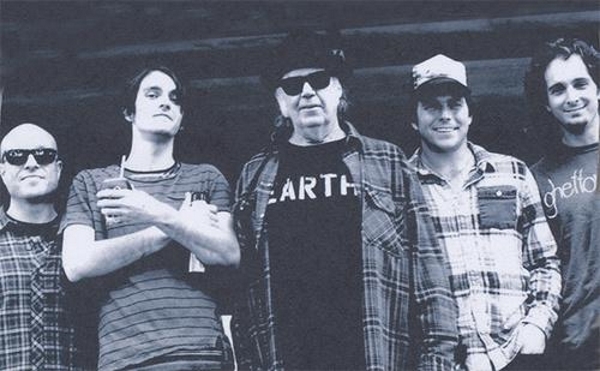 Neil Young made a special guest appearance at the week-long Bernard Shakey Film Retrospective, held at IFC, NYC, April 17-23. Following showing of the film Muddy Track (ahem, perhaps the TOP Neil film ever created), Neil was interviewed on-stage by filmmaker Jim Jarmusch and also fielded questions from the audience. Neil then returned a little while later and talked about his upcoming album, titled The Monsanto Years. A film that captured the recording of the album in the studio was then shown at IFC. It’s a rocking, soulful album but, as the title might indicate, relies heavily on environmental tones. burning,\" he recalled. \"That started 25 miles away from the tarsands.